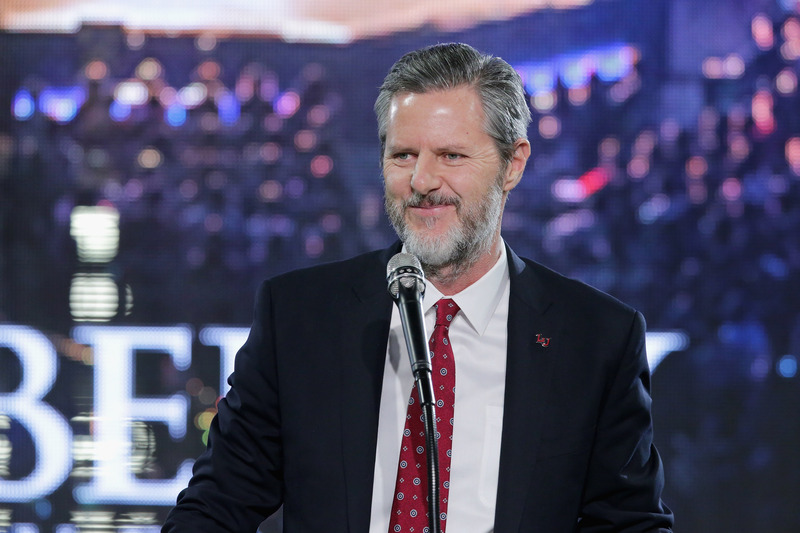 Liberty University president Jerry Falwell Jr. reiterated his support for President Donald Trump, then stated that it “may be immoral” for evangelicals to not support him, given his accomplishments to date. “Only because I know that he only wants what’s best for this country, and I know anything he does, it may not be ideologically ‘conservative,’ but it’s going to be what’s best for this country, and I can’t imagine him doing anything that’s not good for the country,” Falwell Jr. explained. The Liberty University president responded to a question about demanding “higher moral and ethical standards” by stating that it may very well be “immoral for them not to support him” because of the people whose lives have been made better by the president’s actions. Falwell Jr. isn’t the only evangelical leader to support the president despite what many consider his moral failings. Dallas megachurch pastor Robert Jeffress explained his reasoning in a July 2018 Fox News interview. Jeffress was roundly criticized by anti-Trump evangelicals for his comments.